The first thing you must realize is that, there is a fundamental difference between being an entrepreneur and being an employee. As an employee, you can get by with a salary even if you do nothing all month, but as an entrepreneur you need to do something! You can’t blame anybody for your business not succeeding, you can only blame yourself and your inactivity. You also don’t just give in and give up after a few challenges, sometimes all you need is just one more month! 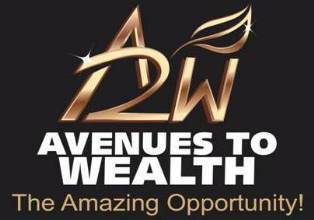 Here are some tips that will help you build a million dollar business out of any business but particularly out of your Avenues to Wealth Distributorship. 1. Craft the first creation. Realize that everything is created twice. The buildings you see first existed as architectural drawings, the things you see first existed in their simplest form – thoughts. People who take giant steps in business start with an end in mind. Don’t bother starting until you have crafted in words and as you progress, in pictures what you truly want to achieve. Do you want to earn money to build a system to make you free? Do you have an escrow account reserve figure in mind? Are you doing this for the children’s education, a house project or a personal development plan. People who have no goals are not qualified to see what people who have goals see. 2. Set a goal that makes you need help. If you have not asked for help lately, it means everything you have been setting out to do has been within your abilities. You haven’t been stretching yourself! First realize that you are only qualified for help when you have clarity about where you are going, but to qualify for more help, set stretch goals! A stretch goal you can set for yourself is found in the Power of 4 table. Those numbers look daunting but they are achievable. You first of all need to have your own personal copy of the power of 4 table, it’s a possibility table, chose your own goal there and define exactly what you want to use that type of money for. Once the future is clear, set the immediate goals. 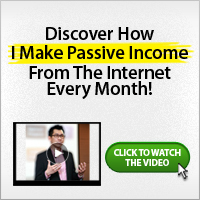 Do like I do, have a goal every week – of income and of expense, and track it! If you have a spouse, do it together. If you don’t have any, find a team mate to work with. Nothing works like accountability and working as a team. Tell yourself you will earn an extra $600 this week, and then stretch your mind and thinking on how. How always follows Why! There are things the mind is not permitted to think until the goals are set. Take responsibility for your success. Ensure that the bulk stops at your table. Whatever you can’t answer for is no likely to be able to move you forward. Reduce your business you to personal action steps. There is no one to blame but yourself. You are the CEO of your distributorship, if you are alone in your organization you are self-employed. If you have over 500 active people in your team, you are a business owner. Start taking the lead. 5. Write a Name List. Buy a book, a hard cover back solid book. Great people always have books they can refer to where they scribbled their thoughts. Call it a journal or call it a workbook, get a book. Write down your name list, don’t start your business without crafting out the possibilities. Every business boils down to people. You need to learn how to generate leads, capture leads, convert leads, retain sales and create referrals. Your name list is your most basic business plan. 6. Be a Hunter and a Farmer. The best role you can play for a sustainable business is to be a farmer. It’s only what is farmed that grows and can become a source of passive income. What is hunted is short term and is almost immediately consumed. However, while farming for the long term, you need to hunt in the short term to be alive for the farming harvest to come. Being a farmer is building an organization, being a hunter is building the business by making sales. Both need to happen side by side. It’s as simple as this, really it is! Finally, when it all works out and becomes successful, remember to provide the template for those coming behind you. Good one. I’m glad to have you here.